We are pleased to announce that our research for PREPARE NSW is soon coming to fruition with the official launch of the Person-Centred Emergency Preparedness (PCEP) toolkit in September. Nevertheless, we continue our work as we endeavour to facilitate more meaningful conversations on disability-inclusive disaster risk reduction and further the accessibility of person-centred emergency preparedness. We invite you to learn more about the developments in our work and to attend our upcoming events. If you’d like to keep up to date on PREPARE NSW, sign up to receive our newsletter and explore this page for the latest on PREPARE NSW. We are pleased to announce the official launch of the PCEP toolkit in September. The launch will exhibit the process tool and its accompanying video-based resources. Additionally, the launch will be a time to celebrate the collaborative efforts of the disability and health sectors, the emergency sector, and our champion community members and their invaluable support for the PREPARE NSW Project. Minister for Police and Minister for Emergency Services the Hon. Troy Grant MP has kindly accepted the invitation to officially launch the PCEP tool and will provide a short address. Disability Discrimination Commissioner, Mr Alastair McEwin will speak about inclusive community engagement for disaster risk reduction. As the launch date approaches, stay tuned for sneak peaks and other information on the PCEP tool on our Facebook page, Disability and Natural Disasters in NSW. Hon. 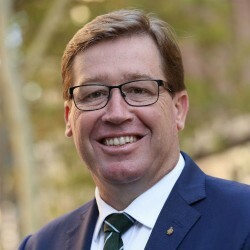 Troy Grant serves as the NSW Minister for Police and Minister for Emergency Services. As minister, his work involves the New South Wales Police Force, Emergency Management NSW, Fire and Rescue NSW, the New South Wales Rural Fire Service and the New South Wales State Emergency Services. 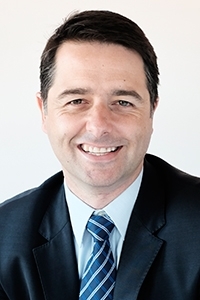 Alastair McEwin is Australia’s Disability Discrimination Commissioner since 29 July 2016. He possesses an extensive background of personal and professional experience on disability, including past roles as President of the Deaf Society of NSW and Chairperson of the Disability Council NSW. 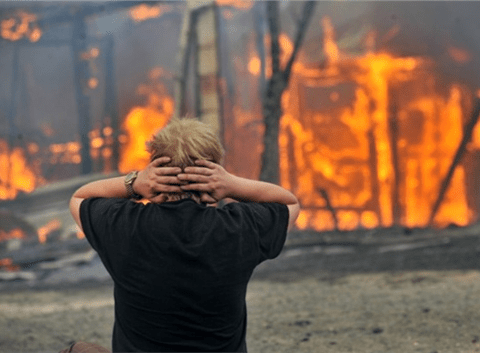 Why should we plan and prepare for disasters? Disaster events such as storms, floods, bushfire and heatwave are becoming more frequent and more severe. Community service organisations have a key role in local communities developing community connections, supporting those at most risk, and building resilience. Building resilience to disasters with your clients and community is a continuous process that CSOs can engage through all stages – from planning and preparing to community recovery. 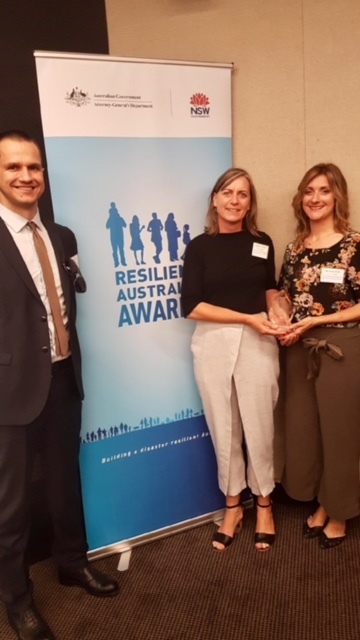 On 19 October 2017 the project team from the Centre for Disability, Research and Policy and Natural Hazards Group were honoured to receive a highly commended award in the Business Category of the Resilient Australia Awards for the Disability Inclusive Disaster Preparedness in NSW. The Project Team would like to thank all of those involved in the project whose contributions are a part of this success. The Project Team would also like to extend a note of congratulations to all the other award recipients at the ceremony.